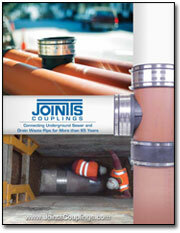 Joints Couplings manufactures environmentally-safe, energy efficient custom couplings and sewer fittings. Our couplings connect, repair, adapt, reduce or cap almost any type of pipe used for sewer, drain, waste and vent applications. Our design and build capabilities provide quick, easy field solutions for large (up to 10 feet) and small (down to 4") diameter pipe connections including emergency repair fittings that ship within 24 hours. 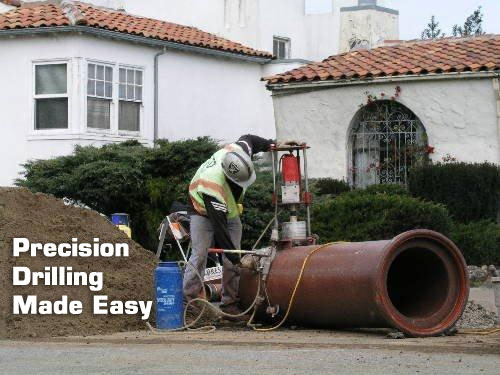 Our patented Calder Coupling, Tap-N-Tee saddle connection and portable coring machine provide strong, flexible watertight seals for most clay, concrete and masonry drilling applications.